Rob: We started Sun & Moon in the fall of 2006 in the cold lands of Transylvania. After a Sear Bliss gig, we had a chat from where it was obvious that both of us would like to start a professional record label. This was in October 2006, and in January 2007 we already had our first 2 CD releases. There are only 2 persons behind the label: Boros Szabolcs & Forgács Róbert. Other people helped us from time to time, but basically we are doing 95% of the activites by ourselves. Boros: Our intention is/was to make an international and truly underground label with the 80’s metal/punk attitude: „do it yourself”. From time to time we are collaborating with some design artists, but the most of the label work is done by ourselves. Genres which we would want to hold up are raging from ambient to extreme black metal. In general every band/music which is dark enough and fits our personal taste could be released on our label. To make it a bit easier: black metal, doom metal, funeral doom, folk and neo-folk, ambient, noise, death industrial, power electronics are the main genres we would like to focus on. Rob: All of our releases are important for us. Some of them are sold-out, most of them are available, some of them already re-pressed. Boros: All of our releases are very important for us. I have some special feeling with the 2 first albums which we released in 2007 (LABYRINTH OF ABYSS - "The Cult Of Turul Pride" CD 2007 & NOCTURNAL DEPRESSION - "Soundtrack For A Suicide: Opus II" CD ). All of our catalog is available for purchase except the ISOLATION - "Striding on the Path of Nihil" CD 2008, which is sold out for a while and we have no plans to repress. Some of our releases are available in 2nd press format, because the high interest of it. Rob: The rule is very simple, we are looking for music we like. Not music that we find pleasant, but music, which we think we will like also in 10 years. We are looking for bands with a vision, with a good defined own philosophy. 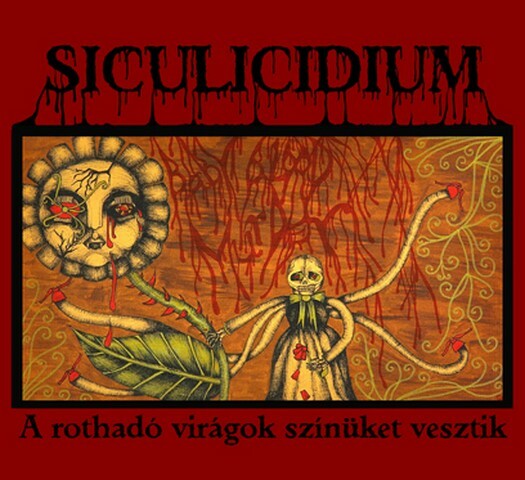 Basically we are a black metal label, but we had also a post-punk/80s goth style album released (Anniversary Circle) and we have also 3 small sister-labels: Mask of the Slave for industrial/noise/power-electronics, Valse Sinistre for dark & eerie music / post-rock / obscure black metal & Mirgilus Siculorum an exclusive tape label. Rob: We are interested only in serious projects, your 12th bedroom project probably will not be released here. Boros: To get in touch with us is very simple: send an email, make a call, or just come to us on concerts, festivals and make a proof of existence of your band. Rob: Honesty and communication are good virtues. Boros: We have very good relations with our bands. We are "easy” persons so the communication is very good. We can offer good communication, trustworthy attitude, fast acting and no long delays. And lots of hard work, we are a very hard working label, so we can’t offer for our bands tons of cash, drugs, nice looking girls and rock star stuff. We can offer good promotion, worldwide distribution and total support in the artistic way. Rob: A lot of plans, from which the most burdening is to release vinyls! Boros: We are a relative new label, so we have lots of plans! We would like to press our catalog on LP in the future, until then we have lots of new releases in our pocket. Boros: The future is bright like the Sun & Moon! Keep on eyes on Sun & Moon Records, we have some good surprises for 2012!